Watch Mondays in October at 9:30pm on WORLD. 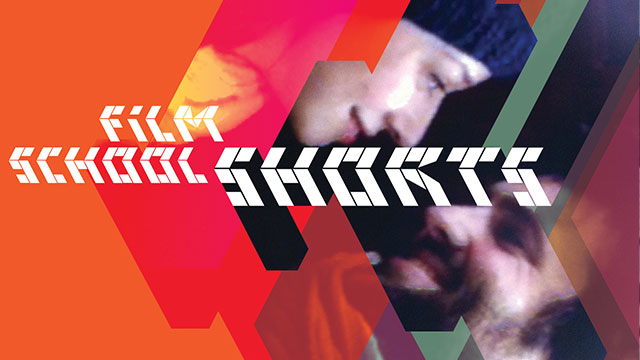 'Film School Shorts' showcases the best shorts from film schools across the country. From quirky comedies to slice-of-life dramas to hard-hitting thrillers, emerging filmmakers offer new perspectives from a new generation. Film School Shorts is your access to the film festival experience. The Hunter and the Swan Discuss their Meeting (NYU) and God of Love (NYU): A Brooklyn couple have dinner with a hunter and his girlfriend, a magical swan woman whose captured robe led to their courtship. The evening goes one direction - downhill. Writer/director Emily Carmichael. 2011 Oscar winner for Best Live Action Short, God of Love follows Raymond, an artist who combines singing with his champion dart-throwing ability to harness the power of love. Writer/director Luke Matheny. I Feel Stupid (UCLA) and My Name is Your First Love (Columbia): Lein is an awkward teenager, obsessed with pigeons. When her childhood friend Amber comes to visit, Lein's world opens far beyond the pigeon coop. Directed by Milena Pastreich. A teenager works as a gardener for his neighbor. His infatuation with his employer deepens and his afternoon hedge trimming turns into an obsession. Directed by Rob Richert. The Chair (NYU) and Bunny (Columbia): As a mysterious outbreak of poisonous mold invades a small town, a boy attempts to understand his mother's death and the roots of this strange plague. Written and directed by Grainger David. Winner - Short Film Jury Prize 2012 SXSW Film Festival and official selection at Cannes. Inspired by a true childhood event, a young boy in Philadelphia marches into the ghetto to retrieve his pet rabbit from the boy who stole him. Written and directed by Robert Snow. Fireworks (Columbia), Pearl Was Here (Cal Arts) and Spark (Univ. of Texas): Against a Fourth of July backdrop in Los Angeles, two boys with firecrackers go on a quest to impress a group of girls. Directed by Victor Hugo Duran. A scraggly girl slips away from her mother to hide among stuffed animals in the safe and sealed environment of a claw machine. Written, directed by Kate Marks. Ricky is left outside while his dad visits a lady friend. Suddenly, he's confronted by her daughter, Callie. Written, directed by Annie Silverstein.